Finding Women in the State is a provocative hidden history of socialist state feminists maneuvering behind the scenes at the core of the Chinese Communist Party. These women worked to advance gender and class equality in the early People’s Republic and fought to transform sexist norms and practices, all while facing fierce opposition from a male-dominated CCP leadership from the Party Central to the local government. Wang Zheng extends this investigation to the cultural realm, showing how feminists within China’s film industry were working to actively create new cinematic heroines, and how they continued a New Culture anti-patriarchy heritage in socialist film production. This book illuminates not only the different visions of revolutionary transformation but also the dense entanglements among those in the top echelon of the party. Wang discusses the causes for failure of China’s socialist revolution and raises fundamental questions about male dominance in social movements that aim to pursue social justice and equality. 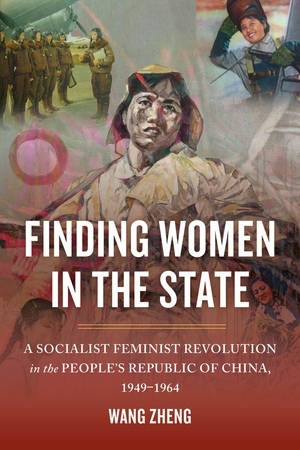 This is the first book engendering the PRC high politics and has important theoretical and methodological implications for scholars and students working in gender studies as well as China studies. Wang Zheng is Professor of Women’s Studies and History and Research Scientist at the Institute for Research on Women and Gender at the University of Michigan. She is the author of Women in the Chinese Enlightenment: Oral and Textual Histories and the coeditor of From the Soil: The Foundations of Chinese Society, Translating Feminisms in China, and Some of Us: Chinese Women Growing Up in the Mao Era.